LBC Express and Japan Remit Forge Ties as OFW Remittances Begin to Soar in 2018. Filipinos working in Japan will now be able to send their hard-earned remittances to their loved ones back home much safer and faster. This comes after LBC Express and Japan Remit Finance (JRF) forged an agreement whereby money sent by OFWs via JRF can now be encashed in any of LBC’s 1300 branches in the Philippines. Present during the signing rites of the two giant firms were (from l-r): JRFCountry Head for the Philippines Ramil Antonio; JRF President Sunny Hossain; LBC Express Inc. Senior Operations Karen Pauline Alcazar; LBC Express Inc. Senior Vice President Oliver Valentin; JRF Vice President and Chief Finance Officer Masahiko Watanabe; and JRF Marketing Officer Liezl Bering. Established in 2011, JRF is an international money transfer and currency exchange company whose remittance reach presently extends to no less than 83countries. 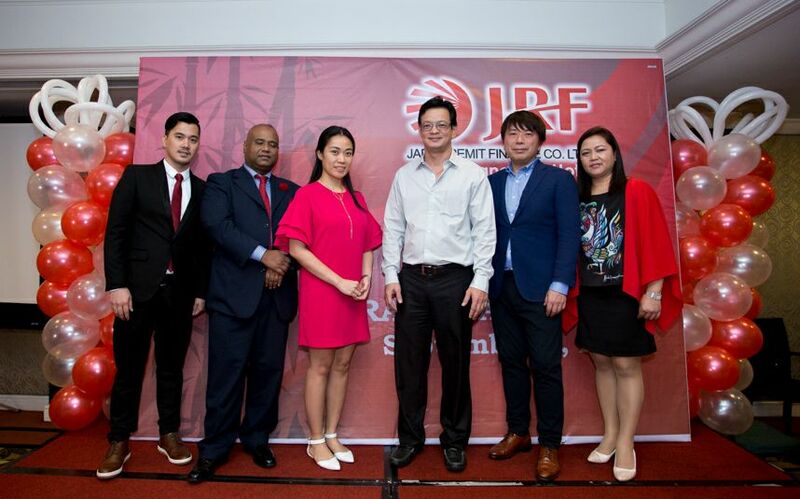 As It seeks to be more globally-oriented, JRF has teamed up with business logistics experts like LBC so it can cater to the needs of Filipinos living and working in Japan. According to the World Bank, the Philippines today ranks as the third largest generator of international worker’s remittances, behind only India and China. This supports data culled by the Bangko Sentral ng Pilipinas (BSP) which reported that cash remittances from Filipino migrant workers rose to $2.4 billion during the first month of 2018, higher than $2.169 billion posted in the same period in 2017. Eighty percent of these remittances came from OFWs in Japan, Singapore, United Arab Emirates, Saudi Arabia, Qatar, Kuwait, the US, United Kingdom, Canada, and Germany. The BSP expects remittances from Filipinos abroad to rise by 3.6 percent to $29.1 billion this year due to the weaker peso which makes sending remittances more attractive. LBC is the Philippines’ market leader in retail and corporate courier & cargo, money remittance, and logistics services. With a growing network of over 6,400 branches, hubs & warehouses, partners, and agents in over 30 countries. LBC aims to deliver value to all of its stakeholders, as it has for over 60 years. Founded in 1945 as a brokerage and air cargo agent, LBC pioneered time-sensitive cargo delivery and 24-hour door-to-door delivery in the Philippines. Today, it is the most trusted logistics brand of the Global Filipino. LBC can move it for you: visit www.LBCexpress.com, or call telephone +632 8585 999 (Metro Manila), 1 800 10 8585 999 (Provincial),+632 9086 522 (Solutions) and follow LBCExpress (Facebook and Twitter).